We’ve doubled up on naturally probiotic fruits, cut out our favorite salad add-in veggies, and even sprayed bacteria in our homes—all in the hopes of finally achieving a healthy gut. But, what if a wellness practice—instead of a menu item—was the answer to all of your digestive issues, from serious constipation to garden-variety (but oh so annoying) bloating? Great news—a healthy gut may be as easy as booking an acupuncture appointment. A new study published in Annals of Internal Medicine found that people with severe chronic constipation may get relief from electroacupuncture, a technique that uses acupuncture needles connected to a device that sends electric pulses into the body. The study took 1,075 people who suffer from chronic, severe “functional” constipation—meaning they go less than twice a week—and split them into two groups. Half received electroacupuncture administered to the muscle layer of their abdominal wall, while the other half received “sham” treatments, where the needles were applied at points not considered therapeutic in acupuncture. Over the eight-week treatment period, 31 percent of patients in the electroacupuncture group had successfully overturned their bathroom troubles, while only 12 percent of the “sham” patients achieved the same success. While this was great news for those who got relief from their gut problems during the study, it didn’t end there: For 38 percent of them, the relief continued after the treatments stopped. 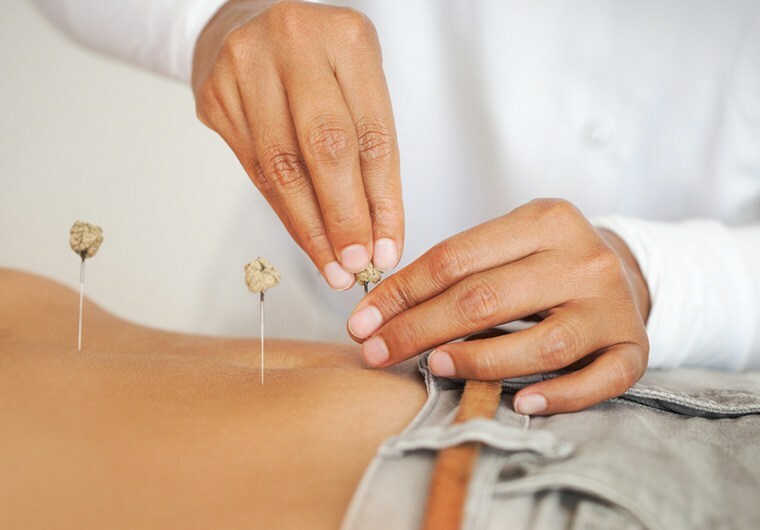 If electroacupuncture seems like a hard-to-find solution, New York City-based acupuncturist Daniel Hsu says traditional needling can be effective as well. Whether it’s electrically enhanced or not, acupuncture heals in two ways: “It makes the body release its own naturally occurring painkillers” and “it helps the body calm the nervous system,” he tells HealthDay. Since stress is often the root cause of irritable bowel syndrome and other GI issues, acupuncture can help to even out the body’s response to stress. Add that to our list of efforts on the way to the healthiest gut possible. Don’t let stress get the best of you (or your gut). This is how yogis stay calm—in even the most stressful situations. And if stress isn’t the cause of your inflammation, getting more of this vitamin could keep bloating away for good.